Prince William and Duchess Catherine reportedly missed their son Prince George's first crawl earlier this month as they were on holiday in the Maldives while he was looked after by Catherine's parents. Britain's Prince William and Duchess Catherine reportedly missed Prince George's first crawl. The royal couple, who recently enjoyed a romantic getaway to the Maldives, are thought to have missed out on a major milestone moment in their eight-month-old tot's formative years as he crawled for the first time while they were away. Prince George was being looked after by his grandparents Michael and Carole Middleton at Catherine's family home in Bucklebury, Berkshire, while his parents got some much-needed rest at the five-star Cheval Blanc Randheli resort earlier this month. 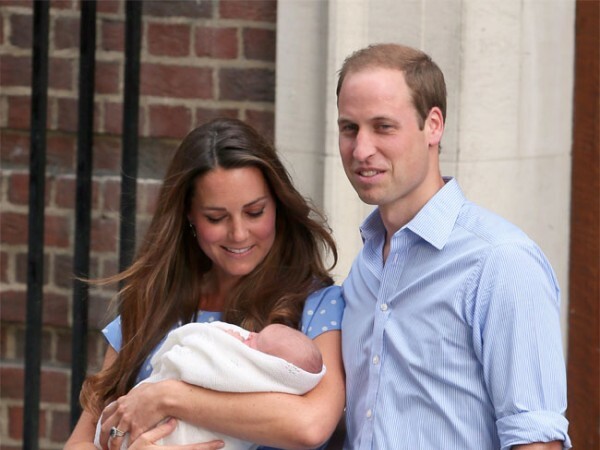 A source told Us Weekly magazine: "William and Kate are excited about the many milestones ahead. George already has a tiny tooth coming in. And his cheeks are chubbier than ever!" The couple decided to enjoy some romantic time together in the Maldives ahead of a long three-week royal visit to Australia and New Zealand next month. The royals will be joined by their son, who'll be looked after by his new Spanish nanny, Maria Teresa Turrion Borrallo. The 43-year-old childminder was recently employed by William (31) and Catherine (32) having trained at London's Norland College.